Perfectly proportioned and pleasing to the eye, this 12" Thomas Kent Arabic Flint Grey Wall Clock is ideal for bringing a touch of elegance to a room and will be an eye-catching addition to a wall in the home or office. 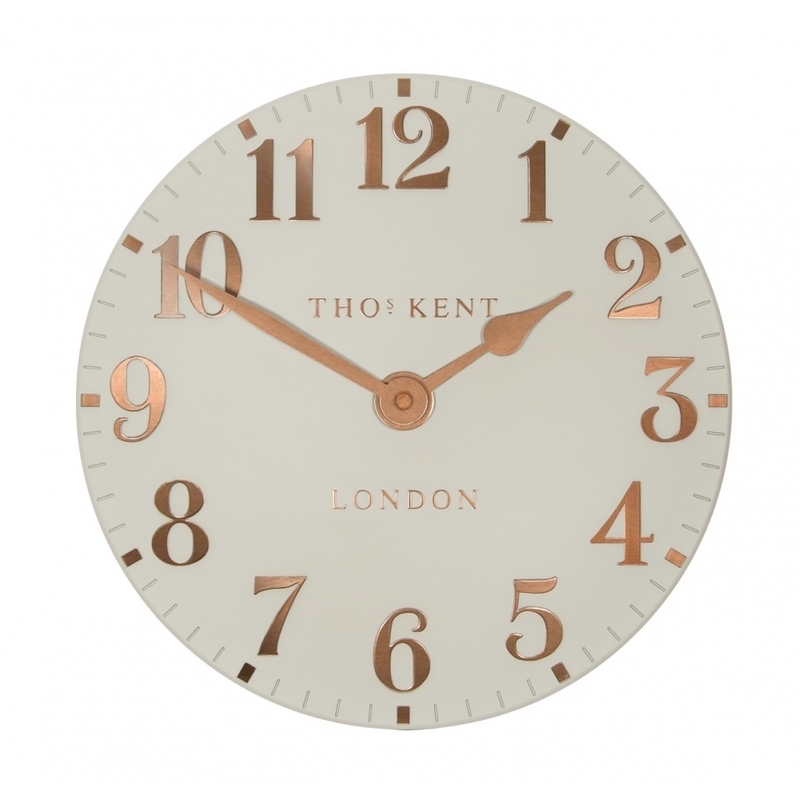 A beautiful open faced clock painted in a subtle grey with contrasting raised copper numerals and hands, it has a delightful curved convex shape. A stylish finishing touch to an interior and sure to make a statement, this Flint Grey Arabic Wall Clock by Thomas Kent would also make a great housewarming gift.